As I mentioned in my previous post, my last two days on Kauai were spent doing purely social activities. Since our group was so large, on our first “fun” day, we split up into smaller groups with different folks choosing different outings. 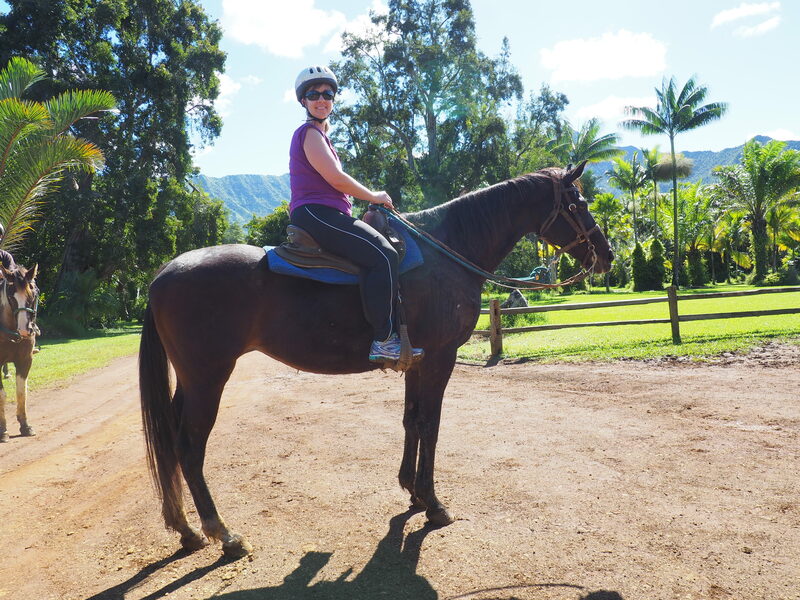 I opted for horseback riding, one of my favorite things to do that I don’t get a chance to do very often. 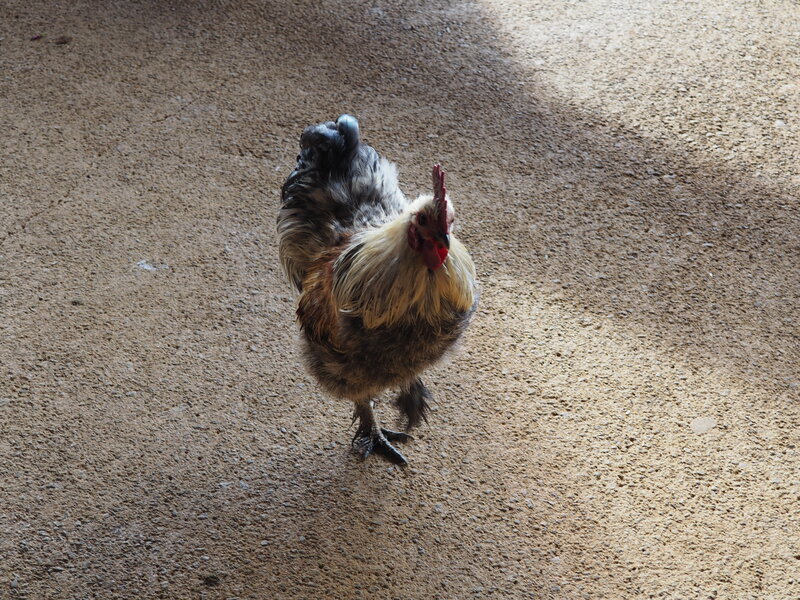 One of the funniest moments from this trip was an encounter with a rooster at the barn before we headed out for our ride. He made a beeline for one of my co-workers and then proceeded to attack. What makes this so ironic is that the person he attacked is not only a vegetarian (sitting right next to me, a person who dines regularly on chicken), but she also tries to befriend just about any animal she sees. 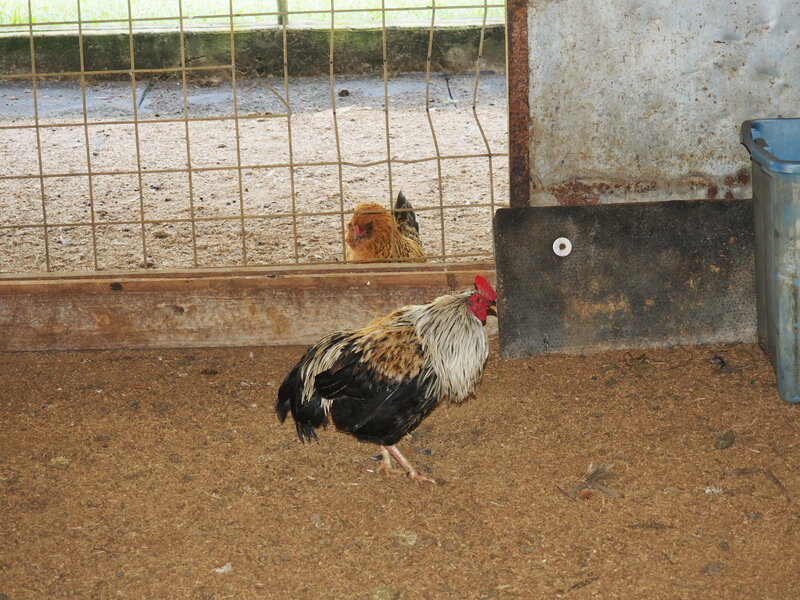 This rooster was having none of that. Here’s Neil, in a moment where he wasn’t seeing red. We all turned to each other and burst out laughing. Neil? Who names a rooster Neil? It just seemed like such a ridiculous name for a rooster, especially one that goes around attacking people. The lady explained that Neil, for some reason, took umbrage at red clothing but only if it was pants, socks, or shoes. Apparently, Neil couldn’t care less if you wear a red shirt, but man oh man, don’t let him see you in red pants or shoes. Of all the strange things, right? Anyhoo, we saddled up and headed out. We were a mixed group of experienced riders and first-timers, but our paniolo (guide) was great. He gave us a lot of information on the island’s history, wildlife, and interesting facts. He also cautioned us to be careful of the ocean, especially this time of year. Good advice, as the surf crested at 20+ foot waves that week. 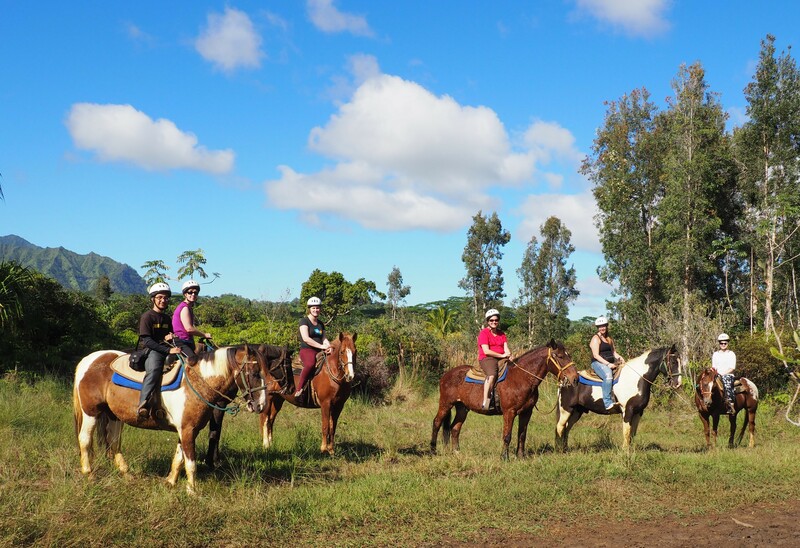 Me (second from left) and my buddies – the guide did a great job of wrangling our horses to get this shot. After riding for about an hour and a half, we came to our picnic spot – a lovely waterfall and natural pool. Too soon, it was time to head back to the barn, where our guide was nice enough to take this pic of me on Modela.